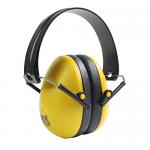 Oregon ear protection headband with sliding ear muff cups is easy to adjust. Compact size, it is a easy to carry device. They have sliding earmuff caps and an easy to adjust headband. SNR value: 26 db. We have a great range of products to help you with your domestic or commercial projects. Choose by online or the ‘click and collect’ option and pick up from your local store. At Ernest Doe you can buy with confidence. Click here to view the other products we stock in the Oregon range.